Our trustees bring wide-ranging skills and experience to help steer the direction of the charity and support financial growth. Mike has been our Chair since July 2016, bringing valuable experience in the areas of marketing strategy and customer service. Mike has enjoyed visiting Westonbirt since his children were young and he is keen to support the charity’s work to secure the ongoing development of the Arboretum. Following her degree in Plant Sciences and a career in IT, Christine was looking for a Trustee role which combined her knowledge of Charity governance with conservation. She looks forward to protecting Westonbirt for future generations to enjoy, believing we need to continue to preserve and enhance this incredible tree collection. Christine intends to use her many years’ experience in project management, professional IT skills and previous trustee roles to promote FOWA’s objectives & success. Gavin worked in PR for 35 years and was Chief Executive of the RSPCA. He is a Town Councillor and chairs a small charity supporting people with physical and psychological needs. He believes the natural world is of great importance and he has extensive charity sector experience. John has a background working in HR for a number of industries. Taking early retirement, John has become actively involved in the local community and is a Parish Councillor. 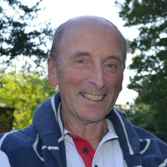 John became a trustee in 2009 and is keen to contribute to the charity and promote wider public access and preserve the heritage of the Arboretum. Margaret had a long career serving as a barrister for over 40 years. She has been a Friend since 2001 and has volunteered at the Arboretum since 2004. Margaret became a trustee of the Friends in 2007 and is committed to retaining the best of the Arboretum in a changing environment. Mike has worked in further education for 33 years, mainly on academic and corporate development and was an HM Inspector for six years. Mike became an Information Volunteer and Volunteer Guide at Westonbirt. He is passionate about the wonderful landscape and is keen for more people to share a deeper appreciation of trees. Malcolm had a long career in the fields of architecture, construction and surveying. Malcolm became a trustee in 2008 and has given valuable advice and support to the Westonbirt Project and continues to support capital developments through the Progamme Board. Martyn recently joined the Board as our Finance Trustee. With a degree in Natural Sciences, a fellow of the Institute of Chartered Accountants and a career in finance within the private sector working with both public and private businesses, Martyn now runs his own consultancy business. Martyn has several years’ governance experience and brings a strong strategic approach to our financial management. He has enjoyed visiting Westonbirt for over 35 years. Beth joined the board in 2017. Working in visitor experience at National Trust's Dyrham Park, Beth brings valuable knowledge of working for both a charity and visitor attraction and is looking forward to contributing her skills to help develop the charity's publicity and communications.